Super Easy Teavana Pumpkin Spice Brûlée Candied Pecans! You can use Teavana's seasonal tea Pumpkin Spice Brûlée to make some pretty amazing pumpkin spice candied pecans. The actual recipe is courtesy of TheModernBarista.com - My good friend Jocelyn created this recipe and as soon as she shared it on social media, I went out and bought ingredients to make this at home! In a nonstick pan combine brown sugar, tea, salt, butter and water. Melt over high heat. Once mixture starts bubbling, add pecans. Stir until they are thoroughly coated. Turn the heat down to low and let cook for about 5 minutes, until the sugar starts to glaze. Remove from heat, spread pecans on a plate and break apart once cool. 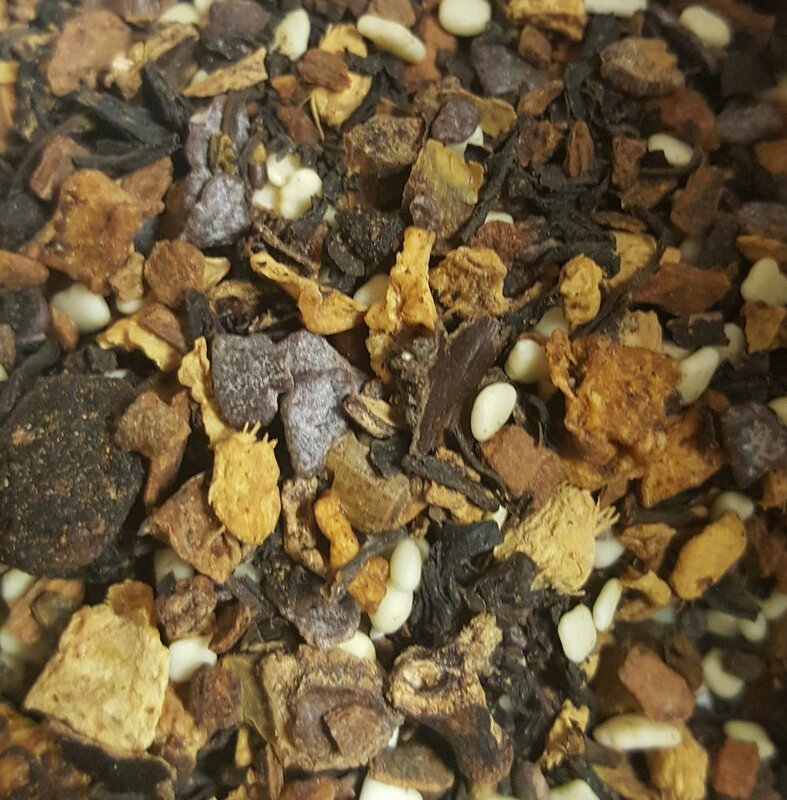 I used an old blade-style coffee grinder to finely grind the Teavana tea. It worked pretty well! I want to show you a before and after the Pumpkin Spice Brûlée tea. Maybe the next big drink at Starbucks should be a pumpkin spice pecan latte? ;) Pecan and pumpkin spice go together! These were yummy! Let me know if you try these too. The very first photo in this article is courtesy of TheModernBarista.com. Spotlight on Berry Kiwi Colada Teavana tea. One of my favorite Teavana teas is Berry Kiwi Colada. I make iced tea at home all the time. It is berry delicious! It's a berry-punch-like iced cup of tea.